i know! whats with that...?! a good installed picture at last!! 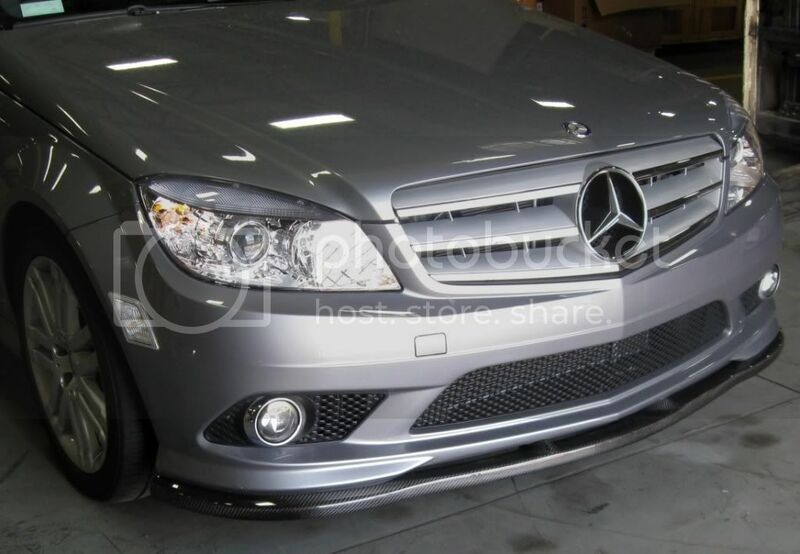 this may be a little off topic but do ALL types of lips (concerning our W204s ofcourse) require some type of drilling ? 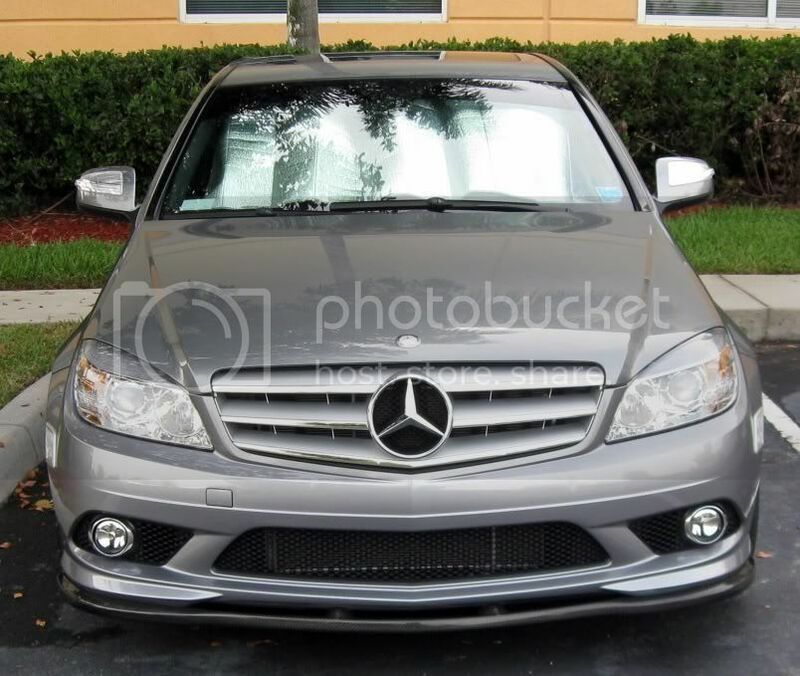 can you make this exact same lip but without the bumps on center? if so ill take one! i love my CF spoiler, thanks guys! 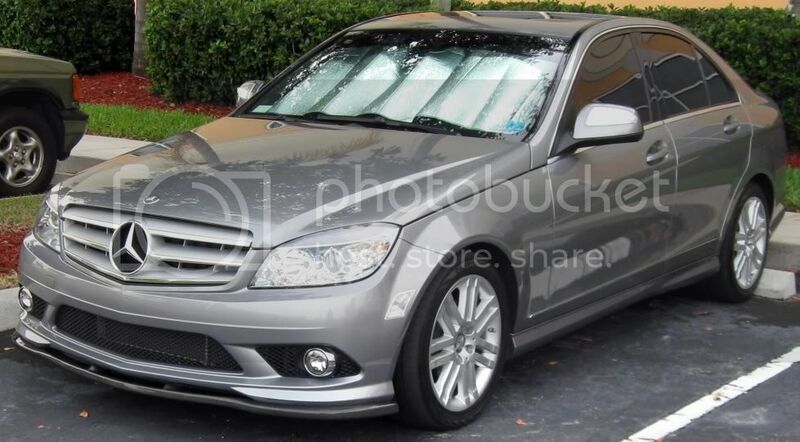 can you make this exact same lip but without the bumps on center? 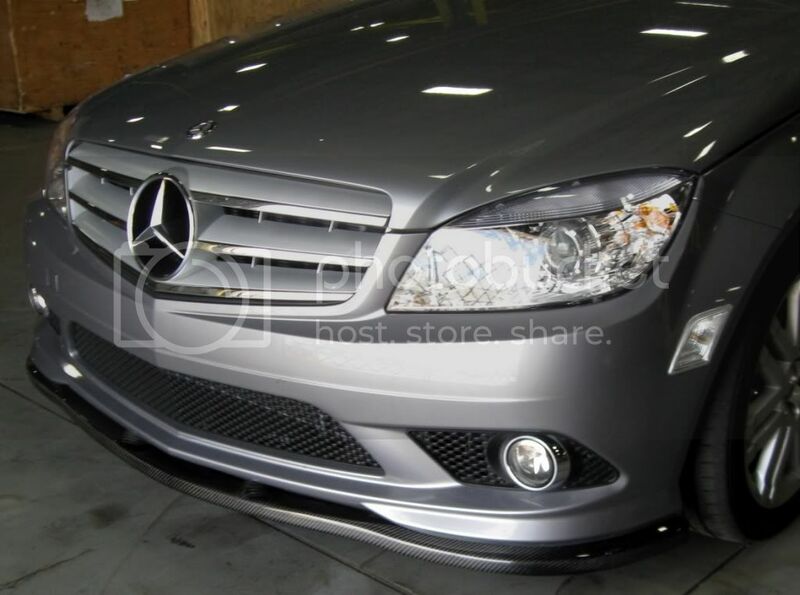 You can take a look at our C style front lip as well. I would like to know from those that have installed it if there has been any yellowing of the CF after time? Also some up close pix of the weave. And I guess there is a whole some where that sticker is supposed to cover it or something?